My friend Mariel and I decided to have a friendly Challah versus Hefezopf (Austrian: Striezel) bake-off this weekend. Challah (Hebrew for ‘loaf’) is a traditional leavened and plaited Jewish bread eaten on Sabbath and holidays. Striezel (in Austria) or Hefezopf (in Germany) is also a plaited yeast bread. 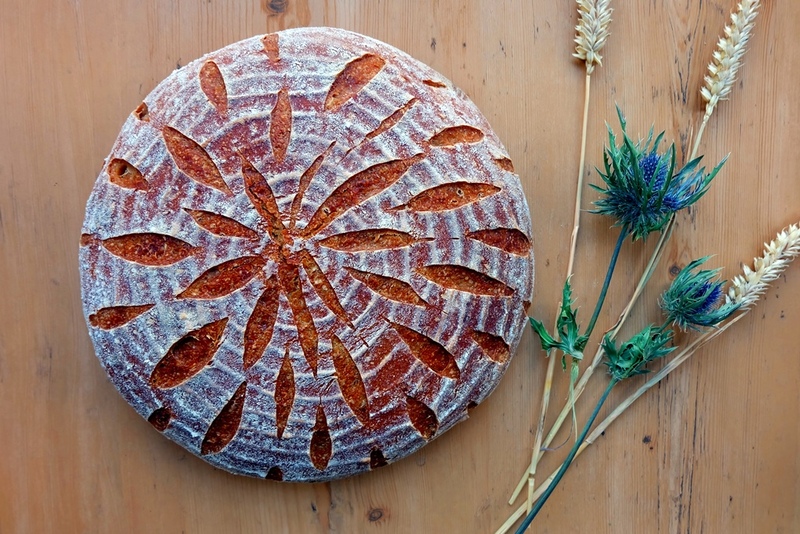 Both breads look very decorative with a rich and dense texture and a glossy finish. In both cases the dough is rolled into rope-shaped pieces which are braided and brushed with egg wash before baking to add a golden sheen. 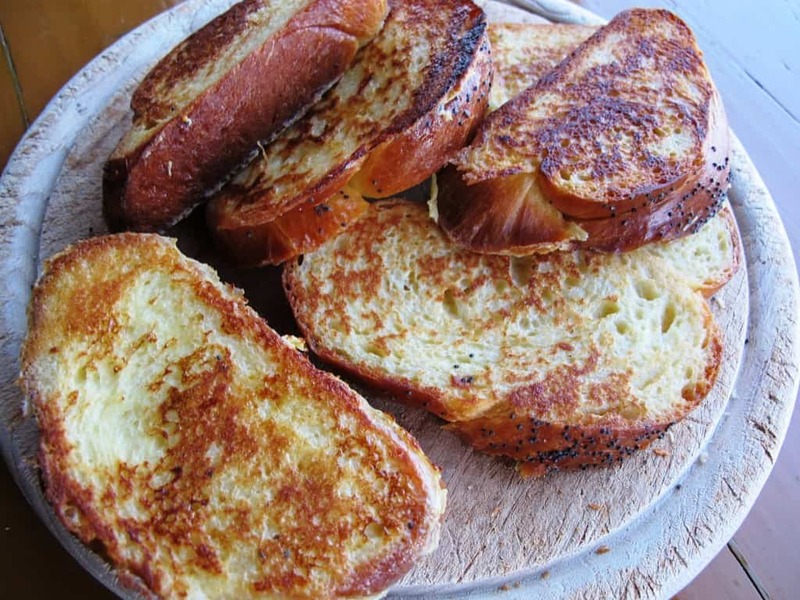 While Striezel is of a sweet brioche-like nature and usually covered in almond flakes or coarse sugar, challah is less sweet and traditionally sprinkled with poppy or sesame seeds. 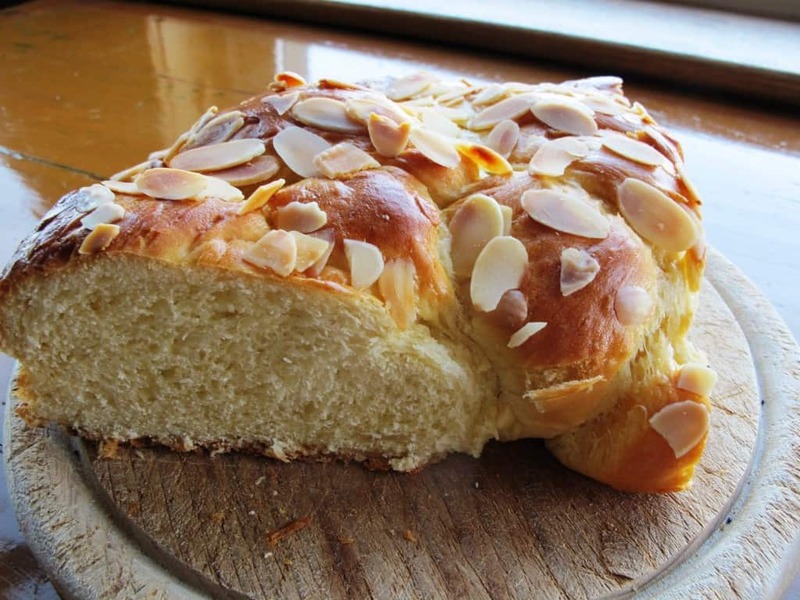 Striezel is a great dessert bread; challah makes a perfect accompaniment to meat dishes. 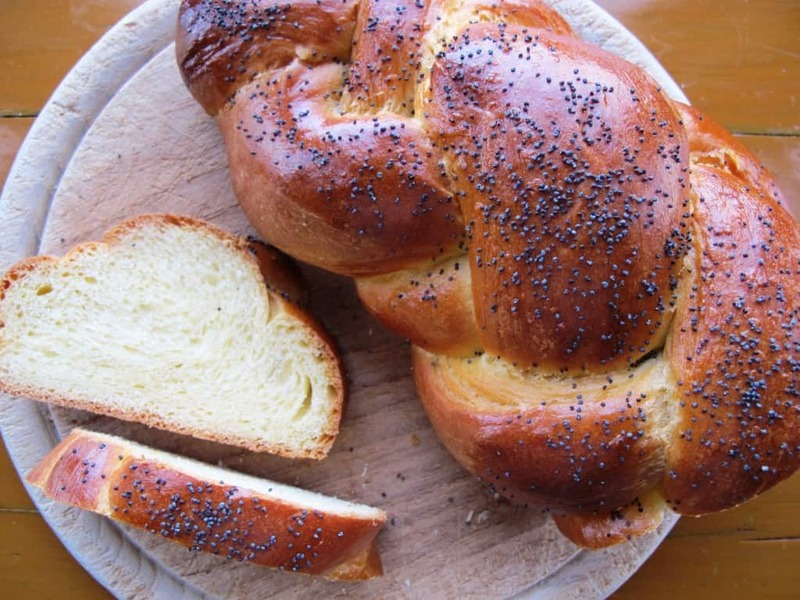 Unlike the enriched dough used for Striezel, traditional challah is usually ‘parve’ i.e. it doesn’t contain dairy products (oil and water are used instead of butter and milk). Below is my recipe for Striezel (Hefezopf). Mariel’s thoughts on our baking venture can be found here. Start by combining the sponge ingredients in a bowl, cover with cling film and leave to rest in a warm place for 30 minutes. Combine the sugar, vanilla sugar, butter and oil and use a hand mixer to combine until creamy. Add in all other dough ingredients including the sponge and combine with your hands until you have formed a rough dough. Cover and leave to rest for approx. 1 hour. Alternatively, leave to slowly rise overnight in the fridge which will improve the flavour. Deflate the dough and turn it out onto a lightly floured work surface. Divide the dough into two equal parts and set one part aside while you braid your first Striezel. Divide this part of the dough into four equal parts and roll out into rope shapes (start in the centre and move your hands out in a rocking motion to lengthen the pieces of dough). Place the four strands vertically in front of you and pinch the ends together at one end. Starting on your left hand side number the positions of the dough strands as 1, 2, 3, 4. Please note that as you go through the braiding process, it is not important which strand was originally number 1, etc. The dough strands will not keep their number so as far as braiding goes, number 1 is always the left-most strand of dough. Cross strand 1 over strand 3. Cross strand 2 over strand 3. Cross strand 4 over strand 2. Repeat until you get to the end of the strands, then pinch all loose ends together. Try to keep the braiding as regular as possible to avoid ending up with a pear-shaped loaf that is fat on one end and narrow on the other. Repeat the braiding process with the second part of the dough. Place the braided loaves on a baking tray lined with baking paper. Cover and rest in a warm place for approx. 1 hour. Preheat the oven to 160°C (gas mark 3). Mix some milk with the egg. Brush the dough with the mixture and sprinkle the flaked almonds on top. Bake for approximately 25 – 30 minutes.